As precocious folk rock singer Jake Bugg prepares to release his fourth studio album ‘Hearts That Strain’, it bears repeating that he is still only 23 years old. The quality and emotional depth of his songwriting have always been well beyond his years, but his musical flexibility and willingness to expand his sound are surely virtues of his youth. Departing from Bugg’s stark, often combative, earlier style, ‘Hearts that Strain’ is remarkably light and easy to listen to, with just enough punch to keep it from being bland. Recorded in Nashville with veteran producers David Ferguson and Matt Sweeney, the album has an appealing overall warmth and a delightful emphasis on Bugg’s vocals, which are brilliant throughout. Bugg sets the tone beautifully on opening track and recent single ‘How Soon the Dawn’, with a delicate grace in his delivery that shouldn’t come as a surprise, after earlier songs like ‘Love, Hope and Misery’ from 2016 LP ‘On My One’ and ‘A Song About Love’ from 2013’s ‘Shangri-La’. Even Bugg’s self-titled debut album showed hints of this fundamental vocal ability, and his singing voice has definitively come into its own here. Any remaining concern that Bugg has lost his folk-punk edge can be laid to rest with mid-album tracks ‘Hearts That Strain’ and ‘Burn Alone’. The album’s shadowy title track features gritty guitars and the pungent fire-and-brimstone imagery often found in southern Americana. Equally gritty but decidedly more blues-oriented, ‘Burn Alone’ is the fortuitious product of a collaboration with Dan Auerbach of The Black Keys (who also contributed to the aforementioned ‘How Soon the Dawn’ and ‘In the Event of My Demise’). Another collaborative track, ‘Waiting’, features guest vocals by Noah Cyrus, sister of Miley Cyrus and youngest daughter of ’90s country star Billy Ray Cyrus. While Noah’s credentials certainly aren’t lacking (her own debut album is said to be coming out later this year), her voice doesn’t mix particularly well with Bugg’s. His subtle delivery should have been perfect for this jazz-inflected duet, but it’s largely overwhelmed by the stridency in Cyrus’ tone, and he oversings in places as he tries to keep up with her sheer volume. Following that minor glitch, ‘The Man on Stage’ is a classic and heart-rending ode to the ephemeral lifestyle of a folk troubadour, finely crafted to display both Bugg’s poetic talents and the sensitivity of his vocal delivery. The musical arrangement of piano and strings is wisely restrained, but still another very clear indication that Bugg has moved on from the do-it-yourself aesthetic of ‘On My One’. The album finishes with a broad flourish of fully expansive arrangements. Softly psychedelic in tone, ‘Indigo Blue’ harks back to 60s folk rock in its airy chorus, “from the top of this mountain / beyond the horizon / indigo blue / colouring the rest of our lives”. The gently rocking ‘Bigger Lover’ declares, quite aptly, “you got my heart on my sleeve”, ahead of the final strains of piano and slide guitar in ‘Every Colour in the World’. One gets the feeling with ‘Hearts That Strain’ that Bugg’s own heart might have been straining a little bit, finally cracking the tough, recalcitrant exterior of his previous self-made image. The stubborn defiance of his earlier records is not entirely absent here, but it is certainly restrained, making space for his intensely spirited songwriting and vastly underrated vocal talents to take center stage. 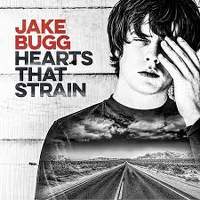 Jake Bugg’s fourth studio album ‘Hearts That Strain’ is due for release this Friday, the 1st of September, on Virgin EMI. Bugg will embark on a tour of the UK in November; you can find the details here. TGTF’s complete past coverage of Jake Bugg, including a review of his recent Cambridge Folk Festival appearance, is back this way. Folk music is far more than just songs that take things back to basics and raw. Folk music is an idea of community and appreciating all that life has to offer, the good and the bad. The Cambridge Folk Festival has been one of the world’s premier destinations to celebrate this genre, and while it’s not quite got the pull of, say, Newport Folk Festival, it does far more than hold its own. Spread out over 4 days in the picturesque little hideaway of Cherry Hinton in Cambridge, a place itself you should visit, this year’s event was a testament as to why it’s a staple. Although rain may have given a fair go at trying to dampen the folk spirit, it did very little in the long run. Especially with this year being specially curated by ex-Bellowhead frontman Jon Boden, a first for the festival, which also meant every act he’d chosen (six in total) were joined on stage by the man himself. A whole lot of Boden is never a bad thing. While Thursday and Friday didn’t bring names that are familiar to the outer realms, those in the know experienced the beauty of folk and the festival. Irishwoman Lisa Hannigan, who closed out the Friday, managed to perfectly encapsulate what makes folk so special. The vulnerability with which her words are conveyed brings much more depth to the meaning you can find, and it makes it all the sweeter when the music matches perfectly. Elsewhere, the likes of Indigo Girls made a triumphant return, while newcomers Ward Thomas gave the younger audience their time to shine. The real charm of the little festival lies in the atmosphere. Even stepping outside of the modest arena, you can find some form of ear-catching sounds in the smaller tents dotted throughout the camping areas. Impromptu performances and general niceties are rife, and it’s a pleasant sight to behold, especially when you’re more used to festivals filled with intoxicated revellers. The day on Saturday suffered the most, with torrential downpours throughout. We can be sure that folk music would prefer to be associated with sunny, summer afternoons, but unfortunately, it was grey skies and unstoppable rain. For those who made it inside the tents, all was well. For those less fortunate, well, they had backup plans. A sea of umbrellas and chairs filled the site, while the sweet sounds of the likes of Fara, a Scottish four-piece who stick very close to the fiery roots / folk sounds of their homeland rang throughout. Closing the Saturday night, Frank Turner returned to Cambridge once again, as a late replacement for Olivia Newton-John. And what a replacement he was. Turner is an artist who bridges so many genres that you find him at Cambridge Folk Festival, as well as festivals such as Download and Glastonbury. Barraging through his biggest hits, as well as a few under the radar numbers, the crowd were consistently engaged, even if a bit damp. Giving shoutout to fans who had hit their fiftieth show of his, you know Turner respects everybody in the crowd. Without them, he’d still be opening the Thursday of the festival instead of headlining the Saturday. Sunday managed to stave off any more downpours. But of course, spirits were far from dampened. At lunchtime, Chris T-T brought the works of AA Milne to life with perfect execution, a lovely warming treat after the previous day’s torrents. Jake Isaac proved why he’s such a hot name in the genre. With a fresh songwriter sound and foot-stompingly powerful tracks, Isaac was a key draw throughout the weekend, packing out the Stage 2 tent. Jake Bugg‘s acoustic set was an easy highlight and a triumphant return for the young songwriter. Joined by only a piano and guitar, his tracks found a new level of depth and feeling, matching with his storied words perfectly. The tracks that harness love felt more raw than ever, while those that talk of his life and growing up put more poignancy in the words. We were even treated to some new tracks from his forthcoming album ‘Hearts That Strain’, out the 1st of September on Virgin EMI, and they feel like a return to Bugg of old. Finishing the festival off, Hayseed Dixie did what they do best. They brought a raucous and fun filled time with their bluegrass covers of absolutely everything you can think of, from Queen to AC/DC, and their own stuff in-between. Proving that the folk festival isn’t a pretentious gathering but a fun celebration, having Hayseed close out was an inspired move, one that paid off exceptionally. As the grass returns to its natural state and Cherry Hinton empties, there’s already a level of excitement for next year’s installment. Returning with another guest curator, you’d be silly to miss out on such a special event. There’s a reason it’s been going since 1965, and if the rains of this year can’t dampen anyone’s spirits, nothing will. Of all the smaller festivals that have popped up over recent years, LeeFest (10-12 August in Edenbridge, Kent) is perhaps the best one. Somewhat a mini-Glastonbury-style festival, ‘The Neverland’ as it’s become known, is a place where fun and imagination are encouraged to run wild. Three separate sections are dedicated to different aspects of the lineup, with Skull Ridge being my personal favourite, where the pirates (yes, pirates!) roam free to the sound of punk, rock, grunge and grime. Last year’s lineup, including the surprise Frank Carter & The Rattlesnakes set, was filled with some of the loudest and heaviest new acts around. For those of you who aren’t into the same flavours of music as I, fear not: the full lineup for this year’s LeeFest has some great names from all across the spectrum. Topping the bill this year are two voices who will convey their outlook on current society with their own individual brand of lyrical poetry. Jake Bugg and Kate Tempest, one of the UK’s youngest and brightest songwriters and one of the UK’s most prominent spoken word poets, respectively. With them both at LeeFest, you can’t help but feel like things could get a little bit magical. Slightly, ok, very away from that spectrum are Wild Beasts, who last year released ‘Boy King’, one of the funkiest and sleaziest – in a good way – honest! – albums we’ve ever heard. It’s amazing, and so are they, and this will be the perfect environment to see them live. LeeFest is a place that prides itself on being a real-life Neverland. You’ve already heard about Skull Ridge and its pirates, but there’s also The Neverwoods aka the main arena, where the Bangarang stage (YES) and Tootles Circus stage take pride of place. Completing the festival’s trio of sections is Mermaid’s Lagoon, or the dance arena, which includes hot tubs. That’s right. Hot tubs. Steering away from hot tubs and mermaids of LeeFest, looking in on the lineup once more and the brightest names in UK music at the moment, and all stand out. Representing indie pop is Fickle Friends who never fail to compose a banger: latest track ‘Glue’ is a testament to this. For rock, Milk Teeth more than hold their own. The foursome are prepping to release a new EP in the coming months and with the incredible work that was their debut, ‘Vile Child’ in 2016, the future is bright for the Gloucestershire-based band. While Jake Bugg may be a well-known name in the songwriting world, a new up-and-comer is Tom Grennan. Against his soulful and often crushing tracks that radiate honesty, his sharply contrasting persona filled with confidence and swagger works incredibly well. You’ll have to catch him live to see what I mean. LeeFest is often likened to being a small, more accessible version of Glastonbury, and all of these claims are accurate. Seeing is believing, so get your tickets quick because the last bunch are on sale and these won’t hang around long. You can still get tier two day tickets, but full weekend tickets are now only available on the final tier. Go here to see all available ticket options at the moment. You can read my coverage on it last year, including chats with Frank Carter & The Rattlesnakes, Everything Everything and Oscar, through here. Fifty-two years is quite a long time for a festival to be running, but when it’s something as revered as The Cambridge Folk Festival (27-30 July at Cherry Hinton Hall in Cambridge), you can understand why. Always attracting the biggest and brightest of the folk world, this year is no different. Alongside the already announced top billing of Jake Bugg and Indigo Girls, there is also now the addition of unstoppable juggernaut of Frank Turner and The Sleeping Souls. Having taken place every year since 1965 at the beautiful Cherry Hinton Hall, it’s the world’s premier event for folk and acoustic music. Its history is steeped in some of the biggest legendary names in the genre from Emmylou Harris and Joan Baez through to Mumford and Sons, and even with Scottish rockers Idlewild. While these names from past events and the ones performing this year are all fantastic, the real magic lies in the social and ‘give it a go’ ethos of folk, with stages that give amateurs and audience members alike a chance to get their folk chops out. Of course, the larger names at the top of the bill are the real draw for the majority of the crowd, and with one of the UK’s most prominent, and youngest songwriters keeping it acoustic, you can be sure that Jake Bugg will cement his place in folk history at this year’s Cambridge Folk Festival. Speaking of folk history, the seemingly always touring Frank Turner has played the festival multiple times now and always brings a good show. With his punk/folk hybrid sound a stark contrast to Bugg’s solo acoustic efforts, you get the best of both worlds. So it’s definitely worth hanging around for the entire festival. Another name that you may want to check out is Benjamin Francis Leftwich, who’s so rooted in being himself and with his acoustic guitar that it’s hard to tell where either begins: utterly beautiful, and soul crushing songs. Perfect. There’s also the current hot artist in UK country, Ward Thomas. The London duo have been making some serious waves in their circles for some time, and those waves are suddenly getting bigger. You also can’t miss Hayseed Dixie, Americana at its finest. Interpretations and originals galore, they’re old hat at this now and will get you dancing, no worries. If you want something even further off the beaten track check out Amelia Coburn, who, in a similar fashion, though less in your face to Hayseed Dixie performs interpretations of everything from Bowie to The Specials, and all with a ukulele! At only 19 and with a sense of music like this, she’ll be going places very soon. Tickets have pretty much sold out for this year’s event, though there are a few tickets kicking around for each day, so head to the site now to get yours. Singer/songwriter Jake Bugg is in the midst of a massive touring cycle following the June release of his excellent new album ‘On My One’. After a busy summer of festival appearances, Bugg will spend September playing live dates in North America before returning to the UK in October and November. A full listing of Bugg’s upcoming tour dates, including shows in continental Europe, can be found on his official Web site. Tickets for the following UK dates are available now. TGTF’s previous coverage of Jake Bugg, including editor Mary’s feature of his latest single ‘Bitter Salt’, is collected here. Just below the tour date listing, you can watch Bugg’s live performance of ‘Bitter Salt’ from The Great Escape 2016.